Lake Cook Reporting provides a convenient video conference center near Deerfield, IL. 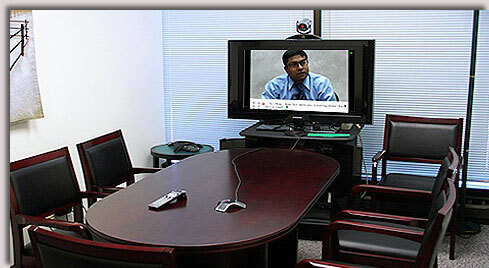 Video conferencing services to any device anywhere in the world. Lake Cook Reporting’s multi-room, multi-unit video conference center in Bannockburn, IL, just off I-94 and Half Day Road, suits a variety of uses. All four conference rooms at our facility support high definition, high-speed video conferencing. We provide video teleconferencing, or VTC, for interviews, meetings and depositions, and technology for streaming presentations from laptops and tablets. Our location in the Bannockburn Atrium, formerly known as the Bannockburn Executive Plaza, is within a short drive from Lake Forest, Deerfield, Northbrook, Vernon Hills, and surrounding suburbs in Chicago’s North Shore. Schedule depositions with our office. We Listen To You. 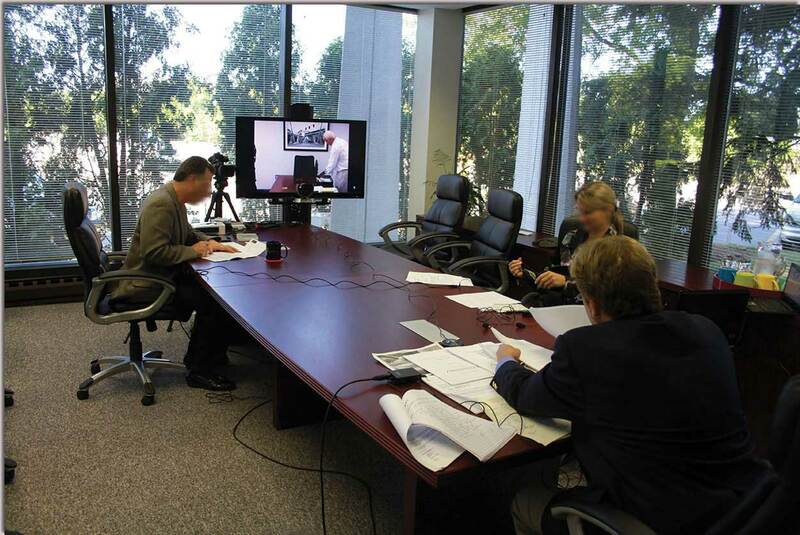 Our video conference center is best suited for depositions, interviews, meetings, and more. Lake Cook Reporting works with court reporting firms, law offices, courthouses, and hospitals around the world to connect video calls. Our systems are perfect for expert witnesses and attorneys in the north suburban Chicago area who prefer not to travel. Use us to connect remote parties, attorneys, or anyone else by video into our offices. High-definition conferencing allows for a telepresence experience as if you’re in the room, perfect for interviewing candidates and avoiding travel. Interviewers can also request digital video recordings of the conference. We’ve partnered with Zoom to provide our clients with a cloud-based approach to video conferencing. With Zoom, our clients can use their personal computers to bridge into video conference systems around the world without the need to travel to a video conference center. Our in-office Zoom Rooms system provides cost-effective video conferencing services for our clients on a tight budget without sacrificing quality or capability. We provide the same high definition video and audio utilized in a traditional video conference system for a third of the cost. Bridge computers, tablets, telephones, and other video conference systems into the same meeting. Avoid the unprofessional look and technology hassles of video calls in your living room. We take care of connections and setup so you’ll look and sound great while focusing on what’s important. Portable video conferencing solutions outside our video conference center for setting up anywhere you need us. Lake-Cook Reporting also provides a portable solution that can be set up at any location with cellular service and bridged to just about any device from PCs, Macs, and Polycom/Lifesize room systems. Set up a portable video conferencing system in your office, hospital, home, or anywhere else, and we’ll dial you into other video conferencing systems anywhere in the world. Our fully portable system has no need for a wireless network to run. Just set it on the table and go! 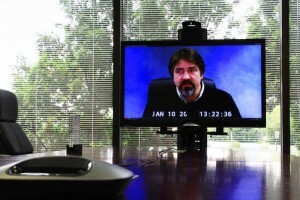 Our software bridges the video conference to any computer or video conference system. Looking for a more professional setup? 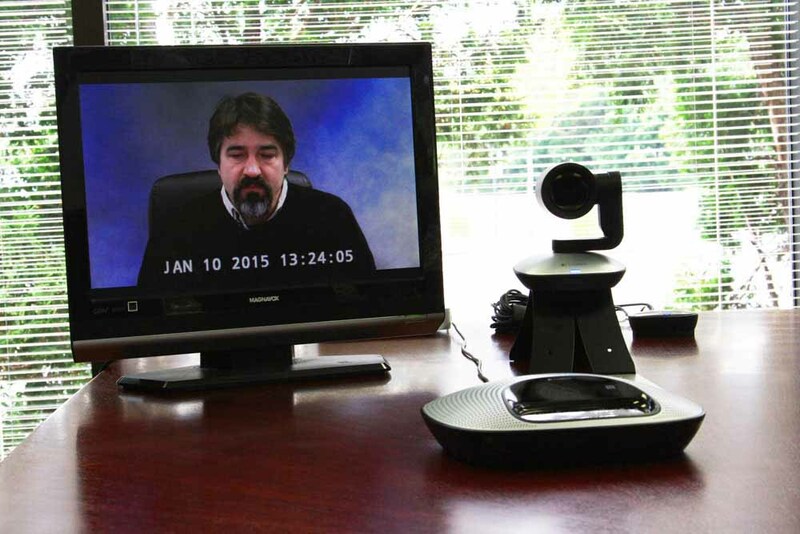 We can bring an entire video conference system to your office. We provide high definition TV, professional camera, and business-grade speakerphone with software that can connect to any video conference system. It’s the perfect solution for clients looking to provide video conferencing in their office on an hourly basis rather than buying costly equipment. View more about our portable solutions. 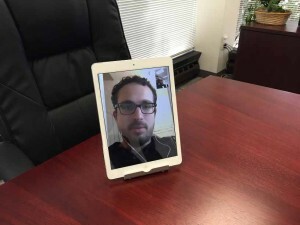 Example portable video conference system. Use your own HDTV or let us bring one to you. Sizes of TVs we provide range from 19″ to 48″ depending on size of room.